Students at Ursinus College in Collegeville, Pennsylvania have been taking classes at Drexel University as part of a new program that began this year, otherwise known as The Philadelphia Experience. “The Philadelphia Experience is an opportunity for students at Ursinus to live, study and work in Philadelphia,” Program Director Kelly Sorensen wrote in an email. The Philadelphia Experience was initially an experiment. 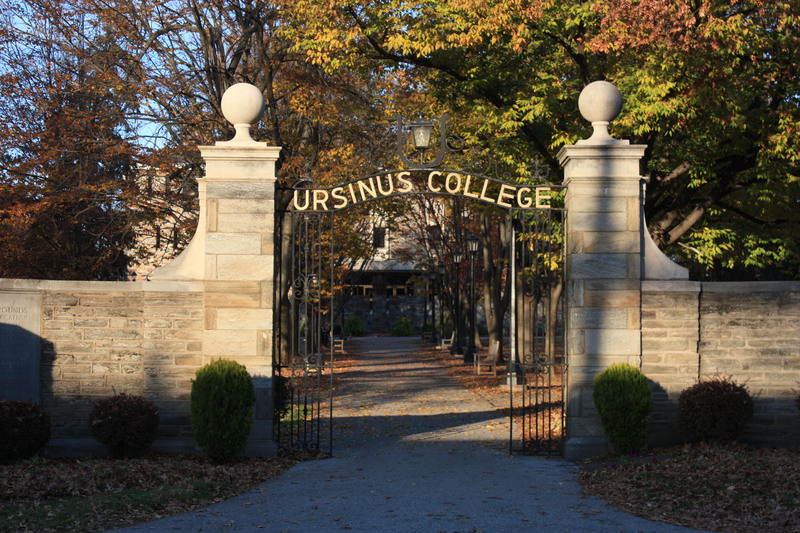 According to Sorensen, Rob Wonderling, chair of Ursinus’ board of trustees, and Ursinus President Brock Blomberg wanted to continue that experiment while making the resources of Philadelphia more accessible to Ursinus students. “Philadelphia offered a menagerie of eclectic cuisines, live music venues, convenient bike paths and many kinds of wonderful people to meet — things that I felt were missing in a small town like Collegeville,” Ursinus student Naseem Syed, who participated in the program during the fall of 2016, said in an email. Although there are many universities in Philadelphia, Drexel was specifically chosen because of how well it complements Ursinus. “We explored various partnerships, but Drexel had the best combination of factors: excellent courses, a president who understands liberal arts colleges like Ursinus and a great vice-provost, John DiNardo, who was eager to make the idea work,” Sorensen said. According to Sorensen, most of the students who participate in The Philadelphia Experience are upperclassmen who have been selected by a committee. The committee chooses students based on how much they will get out of this experience. However, despite the opportunities that Drexel offered, Sorensen believes that there are some drawbacks to this program. “Ursinus is on the semester system, so the Drexel quarter beginning and ending dates feel unfamiliar to Ursinus students,” Sorensen said. “But students in the program have really enjoyed the program so far, from the vibrant University City community to, well, the wonderful weirdness of the Mutter Museum,” he continued. But not all Ursinus students felt the same way, including Syed, who didn’t find the transition too difficult. “Although my Ursinus classes started a few weeks earlier, I transitioned seamlessly into Drexel’s quarter system,” Syed said. “There was less of a traditional workload and more flexibility for me to focus on my Ursinus classes and my internship at Mighty Writers, [which is] a non-profit organization where I helped teach kids writing,” she continued. During her time as a Drexel student, Syed was able to enroll in many courses that weren’t offered at Ursinus, which she believes contributed to a great experience in this program. “I appreciated the variety of courses offered at Drexel which were not as readily available at Ursinus. I took Aesthetics with Dr. Jacques Catudal and Intro to Journalism with Dr. Karen Cristiano,” she said. “Although the class sizes were relatively larger — at 25 students — I appreciated how Drexel professors took genuine interest in the trajectory of my education, even if I was at Drexel for only a short while,” Syed continued. However, because Drexel is considerably bigger than Ursinus, Syed felt that the size prevented her from cultivating a close relationship with other students. “A single quarter was not enough time for me to integrate into the Drexel community,” she said. Despite this, the experience that Ursinus students are able to receive from this opportunity outweighs the drawbacks. “My hopes are particular to each student. In the case of one student, I hope her internship at the Philadelphia Museum of Art will further her intended career in Museum Studies. For another, I hope shadowing Philly doctors will strengthen her medical school applications,” Sorensen said.